U.R. 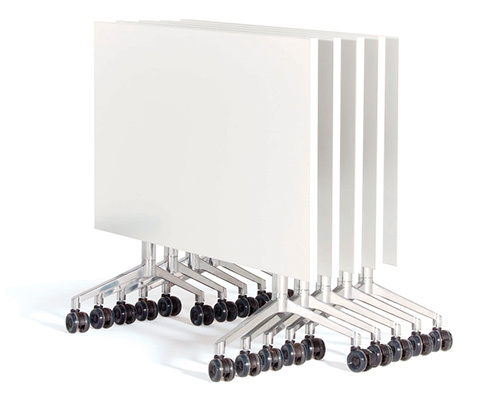 is an environmentally considered table system that is highly flexible and versatile. U.R. 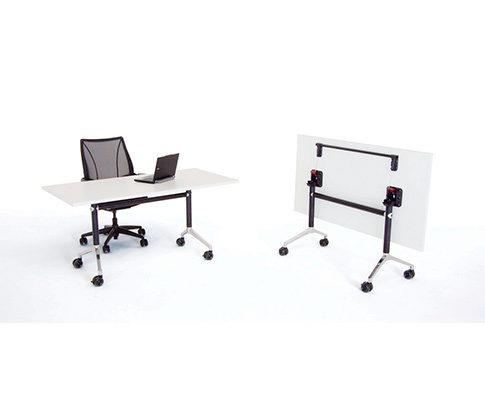 provides a complete “family” of table product options allowing continuity of design throughout any commercial environment. U.R. has been designed with the environment in mind. Life Cycle Assessments (LCA) were commissioned to determine the most appropriate materials to achieve the desired finishes. 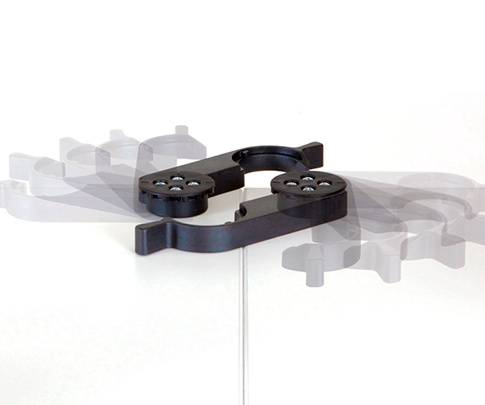 Components produced from materials such as die cast aluminium have been designed using Finite Element Analysis (FEA) to ensure the strongest structure whilst eliminating excess material. U.R. has been designed for 100% disassembly, ready for recycling. U.R. 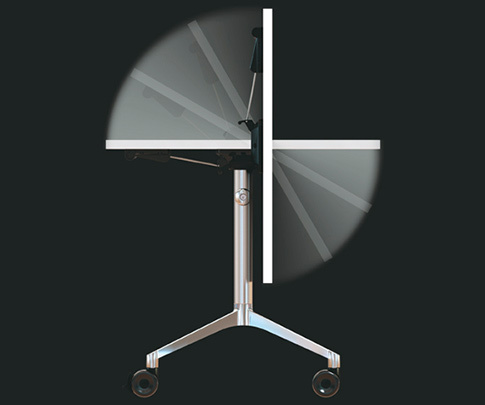 folding tables provide a tilt-top stacking table for workplaces that demand flexibility such as boardrooms, training rooms and temporary desking. U.R. 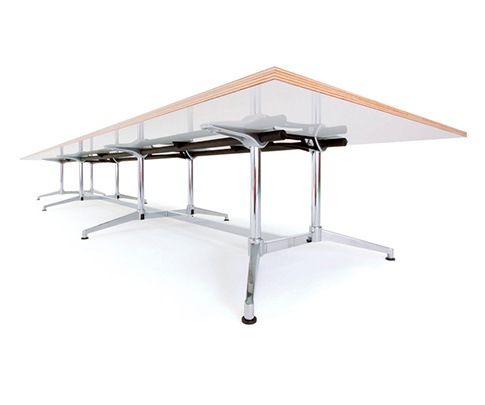 folding tables are also fitted with lockable soft tread castors and are supplied with table linking mechanisms as a standard feature.